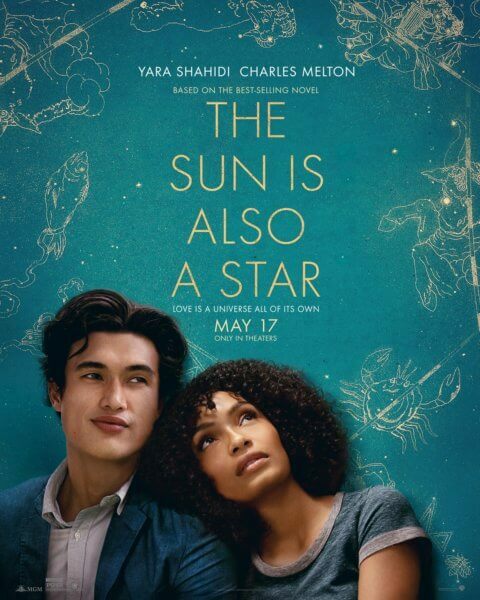 Warner Bros Pictures and MGM just released a full trailer for the romantic drama, The Sun is Also a Star, along with a new poster. The romance stars Riverdale‘s Charles Melton and Grown-ish‘s Yara Shahidi. John Wick: Chapter 2‘s John Leguizamo also stars in the adaptation of Nicola Yoon’s novel. Before I Fall‘s Ry Russo-Young directed from a screenplay by Tracy Oliver (Girls Trip). Leslie Morgenstein and Elysa Koplovitz Dutton produced, and Pamela Hirsch served as an executive producer. Russo-Young’s behind the scenes team includes photography Autumn Durald Arkapaw (Teen Spirit), production designer Wynn Thomas (Hidden Figures), editor Joe Landauer (Before I Fall), and costume designer Deirdra Elizabeth Govan (Sorry to Bother You), with Herdís Stefánsdóttir (The Hate U Give) handling the film’s music. The Sun is Also a Star is set to open in theaters on May 17, 2019. The MPAA has given the film a PG-13 rating for some suggestive content and language. College-bound romantic Daniel Bae (Melton) and Jamaica-born pragmatist Natasha Kingsley (Shahidi) meet—and fall for each other—over one magical day amidst the fervor and flurry of New York City. Sparks immediately fly between these two strangers, who might never have met had fate not given them a little push. But will fate be enough to take these teens from star-crossed to lucky in love? With just hours left on the clock in what looks to be her last day in the U.S., Natasha is fighting against her family’s deportation as fiercely as she’s fighting her budding feelings for Daniel, who is working just as hard to convince her they are destined to be together.